Manufacturing industry around the world is evolving and is embracing changes in the designing, conceptualizing and final production of products with the help of technological advancements and integration of designing and manufacturing process through high-end software. One such integrated designing and product development tool is Autodesk Fusion 360, which is a complex piece of software that is a cloud-based CAD/CAM tool. It is also the first of its kind that aids computer-aided engineering (CAE), computer-aided designs (CAD), and computer-aided manufacturing (CAM) and is designed in 3D. Fusion 360 is designed to enable iteration and exploration on product ideas and helps in collaboration between the various teams involved in cad drafting, cad design services, product manufacturing and other such processes. Since it is cloud based, it paves way for easy sharing of project details and information between teams and also, between the members of the same team and allows easy communication. Are you looking for some futuristic CAD drawing software? Fusion 360 is the one that will aid and fulfill all your 3D designing, conceptualizing and manufacturing needs in one place. Your search for the one complete package ends with Fusion 360. It is a complete package that combines mechanical design, organic shapes modeling, and product manufacturing into one. The upside of the software is that it is compatible with both mac and pc and runs equally good on both. The designers can edit the components without having to change the entire design and don’t have to do the work from the beginning with every edit with the help of the paramedic tools specially designed to aid the designers. Fusion 360 CAM makes the task of designers easy by providing tools that help in lessening the gap between conceptualizing and designing and the final production and has come as a boon even for Revit cad and BIM cad designing which require 3D designing tools for designing the internal structures, pipelines, electrical laying and such. 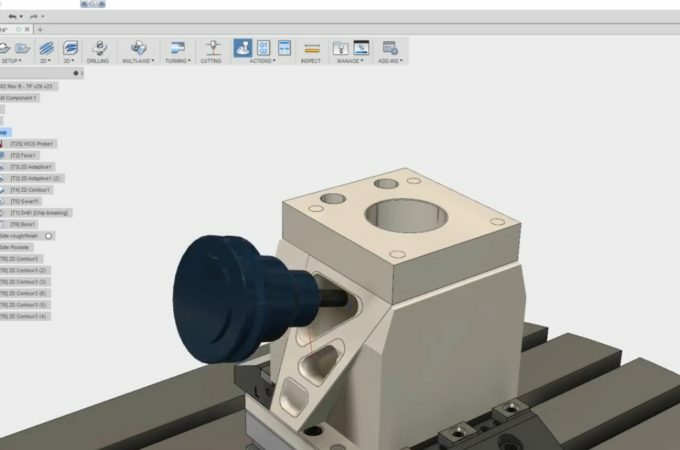 Fusion 360 comes up with regular updates that help in enhancing and making your task easier. Enroll in one of the many courses to get complete knowledge and understanding of Fusion 360 today. If you would like to know more about our 3D CAD Modeling Service please contact our representative. You have shared a perfect piece of information on the new Fusion 360TM software. Please keep sharing such informative post with us.